Let’s talk names like Charlotte. Charlotte, after all, is quite the name. Regal and poised, but still accessible, Charlotte comes from Charles, via the French. It’s feminine, but not fussy. Elegant, but at home on a child, too. It shortens to Charlie or Lottie, but requires no nickname at all. England’s adorable Princess Charlotte only increases the name’s appeal. In fact, it entered the US Top Ten the week Will and Kate’s daughter was born, and shows no signs of leaving the top of the charts. But with so many people in love with this traditional, yet versatile, choice, others probably feel like Charlotte? It’s a little bit taken. So let’s look for some great names like Charlotte that could substitute. Caroline makes a logical substitute for Charlotte. After all, they’re cousins – sisters, really, as they both come from Charles. They’re both French; Charlotte from Charles, and Caroline from the Latinized Carolus, all descended from the Germanic Karl. While both count as classics, Charlotte has rocketed to the top of the charts, while Caroline has stayed quiet. It’s a Top 100 choice, make no mistake. But it’s not quite as white hot as the version that ends in -lotte. 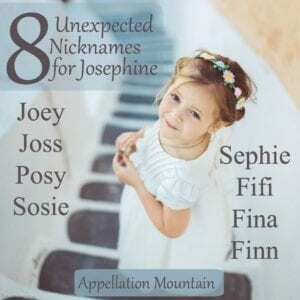 Another French diminutive of a classic masculine name, Josephine became famous thanks to Napoleon’s beloved, born Marie Josephe, but known to history as the first Empress of the French. The name feels jazzy and spirited, a vintage choice at home in the modern world. 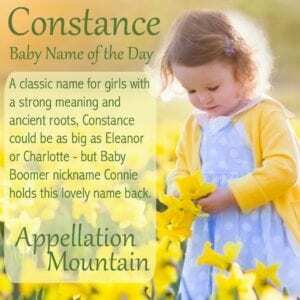 Like Charlotte, it comes with plenty of built-in nicknames – a treasure trove of them! – and yet it’s not nearly as popular – at least not yet. There’s been a Queen Adelaide, just like Charlotte, both from the same era. Both queens share their names with cities, too. And they’re both tailored, but feminine, choices. So there are reasons aplenty to see Adelaide as a substitute for Charlotte. Another strength of this name: there’s really only one way to spell Adelaide. (Okay, there’s Adalaide, too. But the numbers give this one to the ‘del’ spelling by a landslide.) It’s far less common than Charlotte, but every bit as lovely. 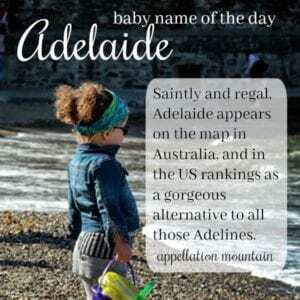 At the moment, Adeline is topping the charts – especially if all of the various spellings are combined – but Adelaide remains distinctively different. Read more about Adelaide here. Strictly speaking, Margot is more like Lottie than Charlotte. It started out as a diminutive form of Marguerite, the French form of Margaret. Style-wise, though, it’s Margot that matches Charlotte. They feel effortlessly French, sophisticated enough for a scientist or a judge, but carefree enough for a child. 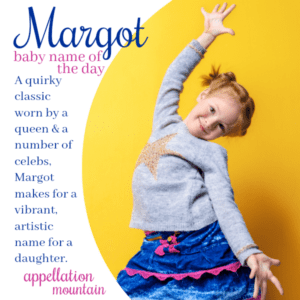 While Margot has risen in popularity in recent years, it remains a less-often heard alternative to the mega-popularity of Charlotte. Celeste shares a first initial with Charlotte, as well as an ending sound. And yet, the two names are different enough that they might belong to sisters. Celeste looks towards the heavens, a name with the same roots as celestial. 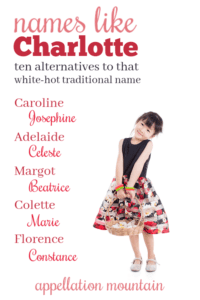 It might feel slightly frillier than Charlotte, but I think both are at home in a white pinafore, gently old-fashioned names that update to the twenty-first century with ease. Colette makes this list because, like Celeste, it’s a C name with a ‘t’ ending. But perhaps Colette seems a little breezier than Charlotte. Still, I think the tailored but feminine sound, the literary ties, and the quietly French roots make this a logical Charlotte alternative. Read more about Colette here. 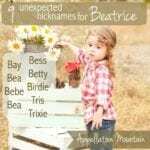 Beatrice doesn’t sound very much like Charlotte, does it? But it has the same aristocratic pedigree. I mean – the current Queen of England has a granddaughter called Princess Beatrice! And it’s the kind of smart, versatile name that combines femininity and a certain innate strength. You kind of expect Beatrice to take on the world, but maybe after she’s enjoyed a nice cup of tea. I’ve yet to write about Beatrice, but check back and I’ll update when I do. Often used as a filler middle, Marie really deserves better. Once again, Marie’s roots are impeccably French. And classic, too, since it’s a form of Mary. 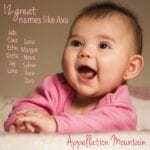 All of this makes the name an ideal choice for parents after something simple, instantly familiar, and yet seldom heard. Read more about Marie here. Florence just returned to the US Top 1000 last year, but in England & Wales? It’s been a Top 100 pick for over a decade. It’s equally popular elsewhere in the English-speaking world, suggesting that maybe this place-name with eco-vintage appeal might catch on in the US once more. 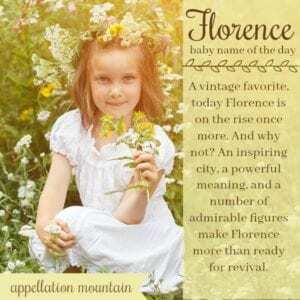 Besides the ties to every bloom in the garden, Florence brings to mind world-changing Florence Nightingale, as well as the legendary Italian city. Virtuous and restrained, Constance sounds both elegant and sensible – a tough combination! Despite being a name that everybody knows, no one is using it. And it shares a certain quality with Charlotte – maybe it’s a sense that they’re both nineteenth century revivals, or maybe it’s their spare sounds. Would people be surprised to meet a baby Constance? Absolutely! But it would wear wonderfully well for a child born today. Read more about Constance here. Those are my picks for names like Charlotte. 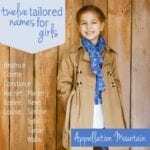 What would you suggest to parents looking for something inspired by this oh-so-popular name? Charlotte reminds me of the book The True Confessions of Charlotte Doyle, which is about a young girl who is in a ship when it goes through a mutiny. She is spunky and resourceful. So if I were looking for substitutes, I’d look at other literary heroines and related names: Elizabeth, Ronia, Bronte, Josephine. I also think Francesca nn Frankie always needs to be mentioned as a substitute to Charlotte nn Charlie. My favorite Charlotte substitutes are Edith, Frances, Louise, Camille, and Cora. Adelaide, Celeste, Caroline, Josephine etc then also Antoinette, Juliet, Harriet, Violet, Genevieve, Elise, Clara and Maxime. Margaret, not Margot. Christine, Lucille, Elise. I also like the admittedly complicated Lieselotte and Annegret and the Ethiopian Emebet. I went to college with a Charlotte more than a decade ago. I thought how lovely and unused the name was and how it would be lovely to give to a child. 13 years later and I missed the chance to be part of the revival by not starting a family a decade ago. Plus, I now live in NC and it would be weird to me to have my baby share a name with the city. I adore Celeste! And Lessie for a nickname. Far and away my favourite Charlotte substitute. Caroline is a top 25 name in every southern state except for Texas. I’m from the south, so it always surprises me to hear Caroline suggested as a less popular alternative for a name. I hear Caroline a lot more than Charlotte! Where I live, it seems like every other Charlotte has a sister named Lucy. Lucy doesn’t feel as classic as Charlotte, but maybe Lucille? Or Lucienne? Even Lucinda? It’s funny how Scarlet is *almost* the same as Charlotte, but she’s totally different. Confession: I met a pregnant mom this weekend who has a Liam and is expecting a little Charlotte. My first thought? How boring. And I know (because you’ve convinced me!) that there’s a good reason why great names are used so frequently. But this post is a helpful to provide some diversity! Oh, I adore Charlotte. 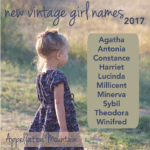 Caroline, Josephine, Adelaide, Margot, Beatrice, Colette, Marie, Florence–they all make such beautiful, similar-in-style alternatives. Charlene, Carlotta, Sharmilla, Cherith/Kerith, Cheryl, Charlesa, Carla, Carly, Carolyn, Carol, Charity, Carina, so many options. I think Kerith sounds like a sister to Charlotte. I would have to use the K spelling for pronunciation reasons. Cherith would be read as Cherish and heard as Sheriff, I fear.